Oh Paperhead, we love you. 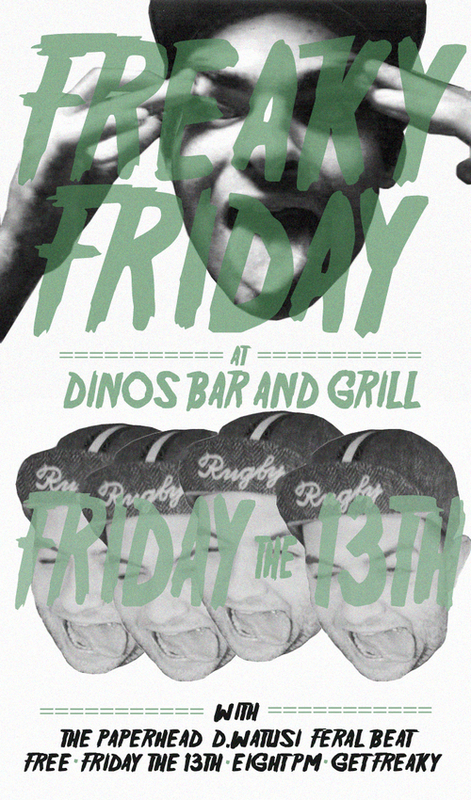 And we’re so down to get FrEaKy DeEkY this Friday the 13th with them at Dino’s Bar & Grill. This is one of the only shows the guys will be playing in town for the next few months since they’ll be returning to their respective colleges very soonly. According to our buddies over at Trouble In Mind, they’ve got a new 7″ single lined up for release from our favorite Nashville boys that should see release sometime soon. 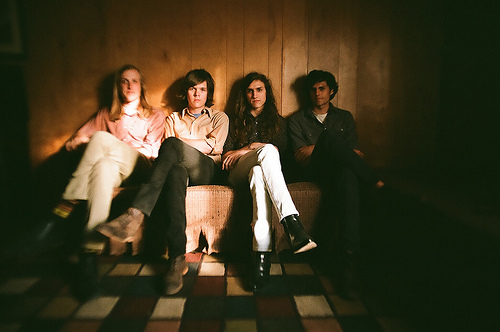 On top of that, they’ll be featured on their yearly 4-way SXSW split-7″. Sick. They’ll be accompanied on Friday by D. Watusi and Feral Beat [who will have copies of their brand new Tic Tac Totally 7″ for sale] Get ready to freak out and get wyld. It’s gonna be a total party with a lot of surprises and balloons and stuff. Now… get ready for the worst flyer ever….